If you are looking for a comprehensive list of all the Earned Value Management Formulas, then you are at the right place. If you are preparing for PMP® Exam, you will find all the Earned Value Formulas. This article would provide you with a step up in doing Earned Value Calculations. 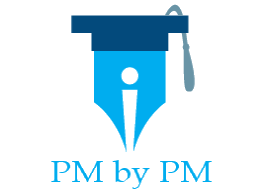 I have written a series of articles on Earned Value Management (EVM) where I have explained the Concept in detail including all the Earned Value Formulas. This post is written with a completely different perspective from my previous articles. It consolidates all my previous articles and gives an overview of all the Earned Value Management Formulas. In this post, I have covered some new Earned Value Formulas as well. You can bookmark this article as a ready reference for all the Earned Value Management Formulas. It will help you in doing Earned Value Calculations. If you are looking for more than an overview of Earned Value Management Formulas, then you should read my previous articles. A detailed exposition of Earned Value Formulas will help you in doing Earned Value Calculations correctly. However, EVM is conceptually different from other M&C methodologies. In EVM Schedule & Cost measurements are combined together and they are reported as Monetary Values. The Monetary Values are reported either in monetary units (currency) or as an equivalent of monetary units like Effort. Let us take a close look at these values along with the Formulas behind them. Definition It is the Estimated or Planned Cost required to complete the Project. But sometimes it could also mean Estimated or Planned Cost required to complete a Milestone(s). It is the Monetary Value of the Work that was Estimated or Planned to be Completed by the Control Date. EVM Formulas No Formula No Formula. It is sometimes expressed as a percentage of BAC. Definition It is the Monetary Value of the Work that was Actually Completed by the Control Date. It is the Actual Cost of Work Performed by the Control Date. Note Negative Variance means Project is Behind Schedule. Negative Variance means Project is Over Budget. Note SPI < 1 means Project is Behind Schedule. CPI < 1 means Project is Over Budget. Note: EV always comes first in all the Variance and Efficiency Formulas. Definition It is the Estimated Cost of the Remaining Work on the Control Date. It is the Revised Estimated Budget for the Project on the Control Date. Definition It is the Projected Future Cost Efficiency to complete the project within Original Budget. It is the Projected Future Cost Efficiency to complete the project within Revised Budget. Is this the complete list of Earned Value Formulas to do Earned Value Calculations? Yes. This is a complete list for PMP® Exam study. You would be able to do all the possible Earned Value Calculations using these Formulas. Otherwise, EVM is a big topic and there are many more Earned Value Management Formulas that are not explained here. You can refer to Max Wideman Glossary to read some standard definitions on EVMS. Very simple and explicit formulas.